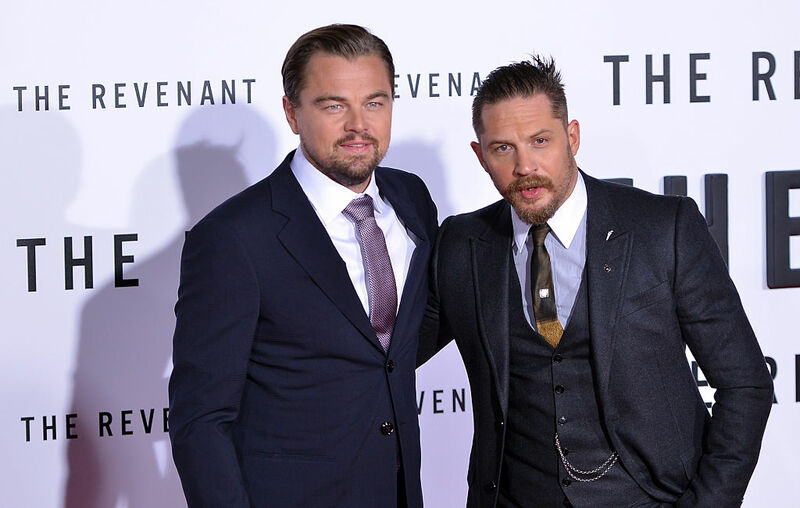 Tom Hardy lost a bet with Leonardo DiCaprio almost two years ago when they starred in “The Revenant” together and the British actor finally held up his end of the bargain. As the story goes DiCaprio bet Hardy that he would get an Oscar nomination for Best Supporting Actor thanks to his role in the film, but Hardy wasn’t so confident. Leo then agreed to get a tattoo of Hardy’s choosing if he ended up being wrong, and Hardy agreed to do the same. Of course, Hardy went on to get the nomination and therefore lost the bet. The “Taboo” star has kept the ink under wraps and it’s unclear when he finally got it done, but the tattoo has finally been confirmed. A fan snapped a photo with Hardy when he spotted the actor out in San Francisco on Tuesday and his Leo tat is on full-display. “LEO KNOWS ALL,” the ink reads right across his bicep. A gentleman always holds up his end of the bargain. Good on you, Tom.